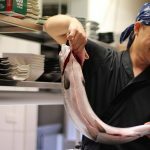 Indeed, the whole concept of izakaya is relatively new in Australia – and in looking at those few izakayas operating here, between business owners and diners, there are many different interpretations. In Japan, they are casual places for after-work drinking. The Japanese word “izakaya”, is actually a combination of “i” (meaning to stay), and “sakaya” (meaning sake shop) – indicating that izakaya originated from sake shops that allowed customers to sit in the premises to drink! Based on my experience, an izakaya is a Japanese tavern – a place to drink and eat with small or large groups of friends. A place to drink whilst ordering a variety of food dishes served in a share format. Many izakaya have some form of bar seating as well as more conventional table seating. Areas with tatami mat seating are also common. Some compare Japanese izakaya menus to that of Spanish tapas, but I like to think that at En Izakaya, we’ve taken a more innovative and modern approach to our menu, served to share. At En Izakaya, we have a stronger focus on our food menu, than perhaps some other Melbourne izakayas. Our clientele and our location in Carlisle Street, Balaclava, demand that a focus on innovative and exciting food, is at the heart of what sets us apart. In Japan, izakayas serve all sorts of food – and not necessarily all of it Japanese. I’ve even seen pizza and spaghetti featured on menus!! More traditional izakaya focus on a more predictable and common formula, offering menu items such as kara-age chicken (deep fried marinated chicken pieces), agedashi tofu (cubes of deep fried tofu immersed in a dashi – fish stock based broth), edamame (boiled and salted soybeans in their pods that pop out when pressed), and yakitori (grilled chicken skewers on individual sticks – using thigh, breast, skin, heart and liver – seasoned/flavoured a variety of ways). En Izakaya’s menu is based on wholly Japanese cuisine – a concept that I would describe as “modern Japanese izakaya”. Like traditional Japanese cookery, En Izakaya uses soy, mirin and sake for marinating, cooking and preparation – so the outcome is an authentic taste. However, the menu is more contemporary to set the restaurant up as having a real point of difference with regard to its food offerings. The end result is a product that we like to think is unique to Melbourne – exciting and innovative. Throughout Japan, izakayas are common and popular with everyone. In the major cities, large chain – owned izakayas with glossy picture menus are located in entire floors of multi storied buildings. These business’ often can accommodate large numbers of patrons including big groups. Happy hours and discounts are offered on certain days/times. Service, especially at the larger izakayas, may involve ordering by pressing a button at the table to get the attendants’s attention, or by raising ones hand and announcing ‘sumimasen’ (excuse me), where the attendant will almost definitely come scurrying over quickly to take an order. Typically, a waiter is paid very poorly per hour, and tips are not a custom in Japan. Therefore, the izakaya industry is predominantly made up of students and younger workers. Smaller and more independently owned and operated izakayas are located everywhere also – throughout the urban city sprawl, and in rural areas of Japan. Many are family run and can be just a small bar accommodating maybe 10 seats. Ordering in these types of business’ I have found to be far more personable and can involve talking directly with the waiter or owner behind the counter. Menus are often presented on the wall of an izakaya (in Japanese), making the task of ordering as a foreigner sometimes challenging. However, the friendliness and hospitality of the Japanese can overcome such difficulties with relative ease. The location of a Japanese izakaya can greatly influence its menu. An izakaya in one of the coastal towns in Iwate prefecture – north east on Honshu island, may have several dishes comprising of whale – as they are fishing towns. In Sendai, Miyagi prefecture, it is common to see gyu tan (grilled ox tongue) on menus as it is considered a speciality in the region. Likewise in Sapporo, Hokkaido, where Tarabagani (king) crab (a breed of giant crab that contains lots of meat) is prevalent. The atmosphere in a typical Japanese izakaya is lively and boisterous. They are places where guests can unwind after work, to relax with friends and forget about the daily grind and work pressures. An izakaya is a casual environment, set up by many operators to be a venue servicing the local area and its habitants. Many Japanese izakaya trade very late into the wee hours of the morning. Laws regarding the sale and consumption of alcohol in Japan are a lot less governed compared to current legislation in Australia and there also appears to be a cultural difference to alcohol and smoking between the countries. In Australia, while over consumption of alcohol has been identified as both a health and social risk, in Japan, shochu and sake are commonly available to purchase by the bottle to be shared (something that is generally not encouraged in Australia). Smoking laws, although tightened somewhat in Japan as of late, seem to be still very relaxed when related to izakaya dining. It is still common to see groups of Japanese businessmen entertaining work colleagues with a shochu in one hand, and a cigarette in the other. The Japanese economy which has been in a fairly steady state of decline since the famous ‘bubble’ years throughout the 1980’s and 1990’s has affected izakaya patronage somewhat. People have less disposable money to spend going out, which to me, seems to have impacted on not only izakaya but the entire food and beverage industry in Japan. 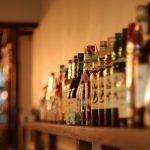 Drink driving laws in Japan – currently 0% blood alcohol content allowed, penalises not only the driver, but also any passengers travelling in the car and so this has affected the patronage of any izakaya, located too far from public transport. While there are some Japanese traditions that have not caught on outside of Japan, the social, entertaining, fun and “foodie” nature of the izakaya, certainly has – as more and more of our style of “Japanese tavern” appear throughout the major cities around the world. 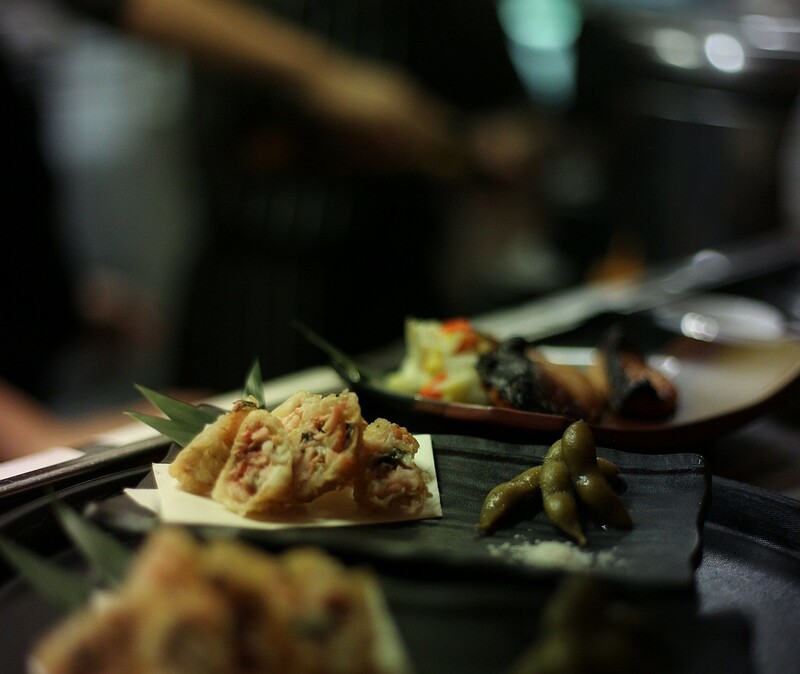 So, come on down and visit us at En Izakaya, and enjoy the exciting and innovative dining and drinking experience – one that we like to think is unique to Melbourne.